Read our Mid-Season Newsletter available on our Blog Now! 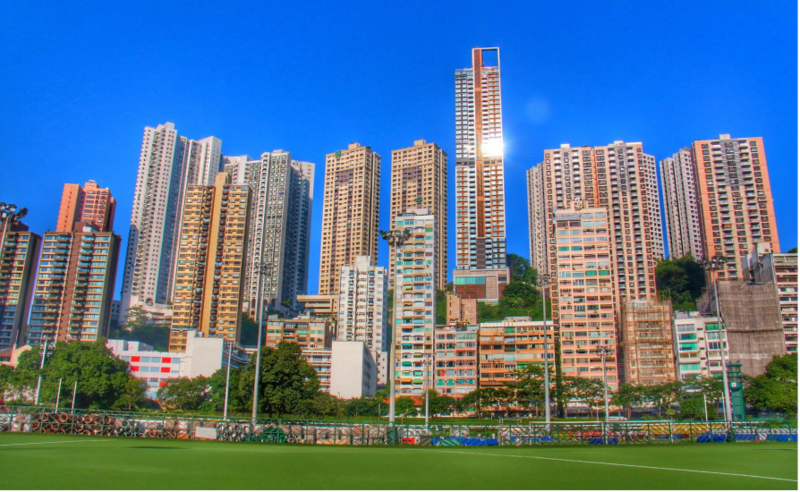 The DHC Hong Kong Hockey Club is the oldest Hong Kong Hockey Club. 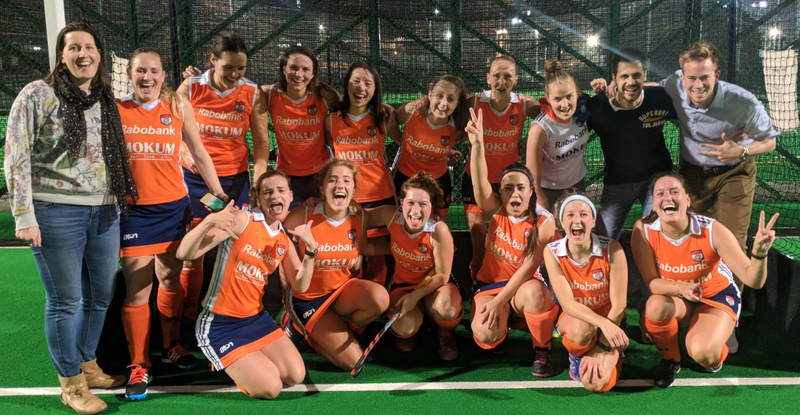 The Dutch Hong Kong Hockey Club hosts 2 mens & womens field hockey teams within the Hong Kong Hockey Association, and a Promotion & Development division aka a Junior division for kids of all ages and ability. We welcome new players to come and join us, don't worry if you haven't played before, or haven't played in a long time, our FIH Level 4 coach will be happy to teach you the skills needed to hop on the field! Dutch Men's A take out Division Two 2017-2018. Read the blog here. with Dutch roots and open heart to all nationalities! At the heart of Happy Valley, play with the stars between the skyscrapers! 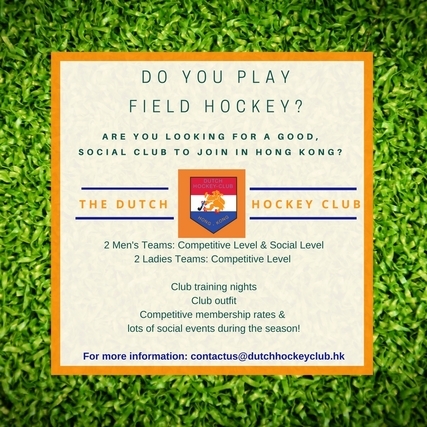 ​The Dutch Hockey Club (DHC), founded in 1949 is the oldest, still active, Hong Kong hockey club. In the earlier years all the players had to be of Dutch Nationality however, times have moved on and the club has transformed to be a truly international one with players not just from the Netherlands but also, Hong Kong, UK, Australia, New Zealand, Argentina and Germany to name a few. Besides playing at a competitive level, the social activities outside of pitch time are also a very important part to DHC. Beers after the game to celebrate the win, regular Friday night drinks and other activities such as Junk-boat parties, Pub-Quizzes and dinners are organized all year round so you really get to know all the teams and players from both the men’s and ladies sections. Currently the club has two Men’s teams, playing in First and Fourth division and two Ladies teams, playing in Premier Division and First division. Practice for all teams is on Tuesday nights in the inner ring of the Happy Valley Racecourse and training is provided by our FIH Level 4 Trainer, Zeeshan Ali. The main league season runs from September – April but we also play in the annual Easter Mixed Hockey 6’s and the Mixed Summer League from June – August each year. Players of all levels from beginners to ex-internationals have player for DHC at one time or another and whether you’ve never picked up a stick before or looking to reignite your game and make some friends along the way, all are welcome!